Exercising doesn’t have to be a stretch – even 20 minutes of walking can make a difference. How sad and alarming to read in today’s Western Mail of the Welsh Government’s figures that show 34% of adults in Wales are failing to do at least 30 minutes of moderate exercise any day of the week!! This is a time bomb which will impact on everyone living in Wales. As a man who recently underwent a pretty major operation, my recovery has been significantly sped up by that face that I was fit. This subsequently saved the NHS in Wales a considerable sum in terms of health care cost and hospital space. The Welsh Government must treat this news with the respect it deserves. 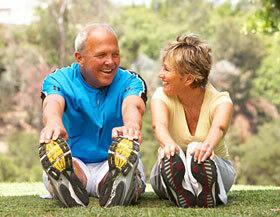 Adults and children must be encouraged to exercise on a regular basis. Even 20 minutes walking a few times a week can make a difference. A good friend of mine took my suggestion of walking to the local shop to get his paper, rather than using the car. As a result he lost 2 stone in a year, he can now get back into his favourite suits, and has a new lease of life. Please, please, First Minister, keep this news on the top of your agenda for both the economic and the physical health of our nation. A bit of a silly topic for this afternoon’s post – but I just had to share this as it really tickled me. 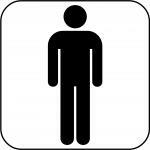 A Taiwanese minister has called for males to sit down when using the toilet, in order to keep the facilities clean. The mind boggles! While I can applaud the hygiene reasons behind such a call, can you imagine the absolute mayhem this would cause at football and rugby stadiums around the world at half time? The queue around the Millennium Stadium would encircle the whole of Cardiff, and probably back to the Valleys as well. Thank goodness it was not a member of our Welsh Government making the suggestion! As a Welshman with Norwegian heritage, I was really pleased to hear today that the man responsible for killing 77 innocent Norwegian citizens last summer has been declared sane and sentenced. This means that the relatives, friends, and the rest of this peace-loving country can now move on, as Anders Breivik will spend 20 years or more behind bars for his atrocities. His actions were horrific and will no doubt remain in the hearts and memories of those affected for years to come. Wales has had its horrors over the decades, but it is hard to comprehend the cold blooded killing of so many young people that occurred in July last year. Lets hope that Wales never has to cope with such a mindless and politically motivated act. 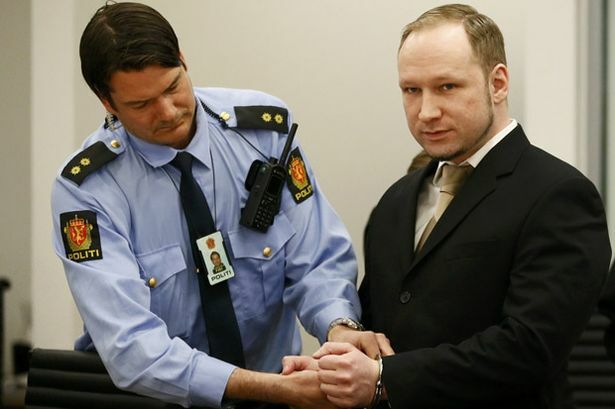 Anders Breivik was this morning sentenced to 21 years in prison for the murder of 77 people in Norway last summer. As some of our followers may know, I recently experienced a health scare which was fortunately discovered early and was cured. I wanted to share with you the admiration I have for the service I received from the NHS in Wales. From my local GP who first suggested an X-ray to me, through the numerous visits to the Heath and Llandough hospitals, the sensitivity, compassion and pure professionalism of each of the nurses, consultants, surgeons, physios I encountered shone through at every stage. Critics of the opening ceremony of the Olympic Games stated that the section on the NHS was ‘politically motivated’ and ‘unnecessary’. To those critics I can say with real passion and conviction that they are so wrong. The work of the NHS is quite simply superb, even if occasionally mistakes occur – as can happen in all major corporations, and organisations big and small. 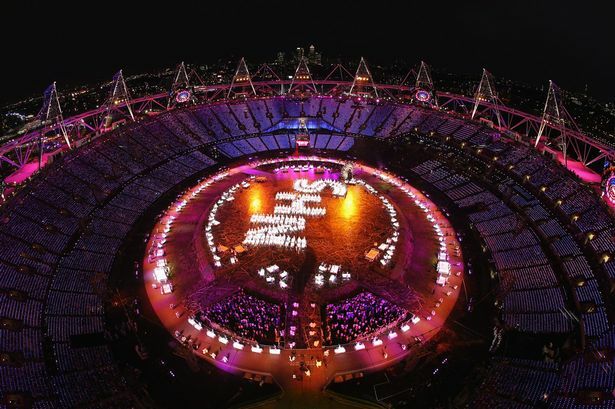 Ending on a topical note, I must agree with the comments of the many fans, competitors and media pundits on the Olympics we have experienced over recent weeks – a breathtaking demonstration of world-class event management, and Britain’s creativity at its best. Added to this we have seen the dedication and team efforts behind all our Olympic heroes, who have all thanked the Great British public and the many volunteers for their part in bringing out their very best performances. In conclusion, I strongly believe that I have seen over the last few months what truly makes Britain Great – from the professionalism of the NHS in Wales to the Olympic success of our competitors, organisers, entertainers, volunteers and fans. Lets make sure this leaves a Great British legacy that lives on for generations to come.